Facebook has deleted at least 32 pages and accounts from the social network and its subsidiary, Instagram, after detecting what it calls “coordinated inauthentic behavior” meant to influence political opinions in the lead-up to the US midterm elections later this year. While the company says it has no exact leads about who may be behind the activity, some believe that it could be the work of the Internet Research Agency (IRA), a Russian-based group with ties to the Kremlin. “At this point in our investigation we do not have enough technical evidence to state definitively who is behind this, but we can say these accounts engaged in some similar activity and have connected with known IRA accounts”, said Nathaniel Gleicher, Facebook’s head of cybersecurity policy. In fact, one of the contentious (now deleted) pages even had a known (and legitimate) IRA profile as its Admin for seven minutes. However, Facebook’s chief security officer, Alex Stamos, says that it still doesn’t definitively prove whether this was the “IRA with improved capabilities or a separate group”. Democratic Senators, however, were not so cautious about attribution of blame, and were quick to pounce on the news as yet another proof of Russians meddling with the US electoral process. “Today’s disclosure is further evidence that the Kremlin continues to exploit platforms like Facebook to sow division and spread disinformation”, said Senator Mark Warner from Virginia. Meanwhile, the deleted accounts, which were created between March 2017 and May 2018, had more than 290,000 followers combined, with over ‘9,500 organic posts’ on Facebook and ‘one piece of content’ on Instagram. 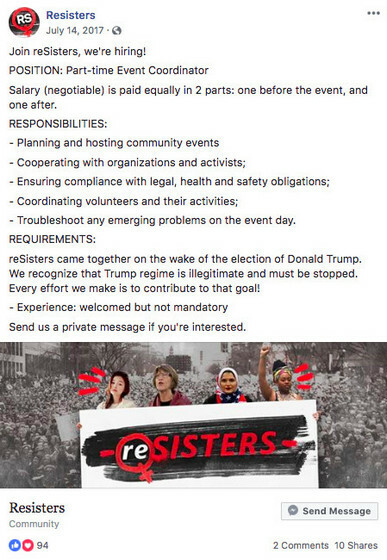 “They ran about 150 ads for approximately $11,000 on Facebook and Instagram … (and) … created about 30 events since May 2017”, said Facebook.